Following the U.S. 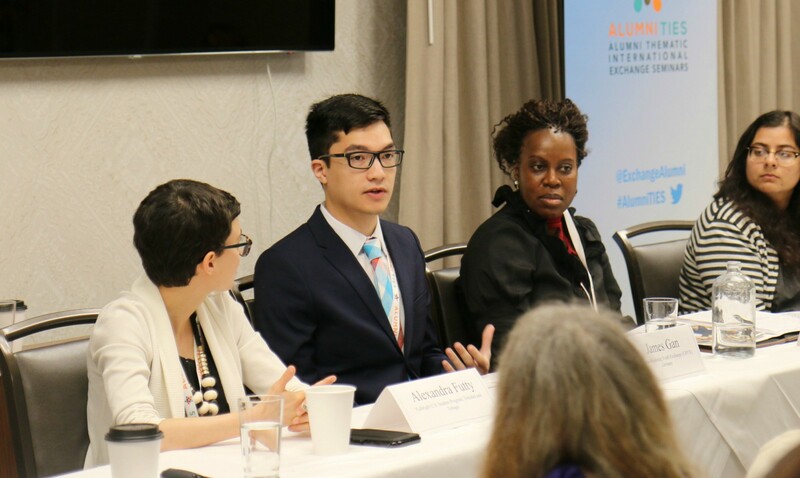 Alumni Thematic International Exchange Seminar (Alumni TIES) on the theme “Education for All: Inclusion and Access as Pathways to Peace” in Portland, Oregon, James Gan reflects on his thoughts and experiences as a young participant. 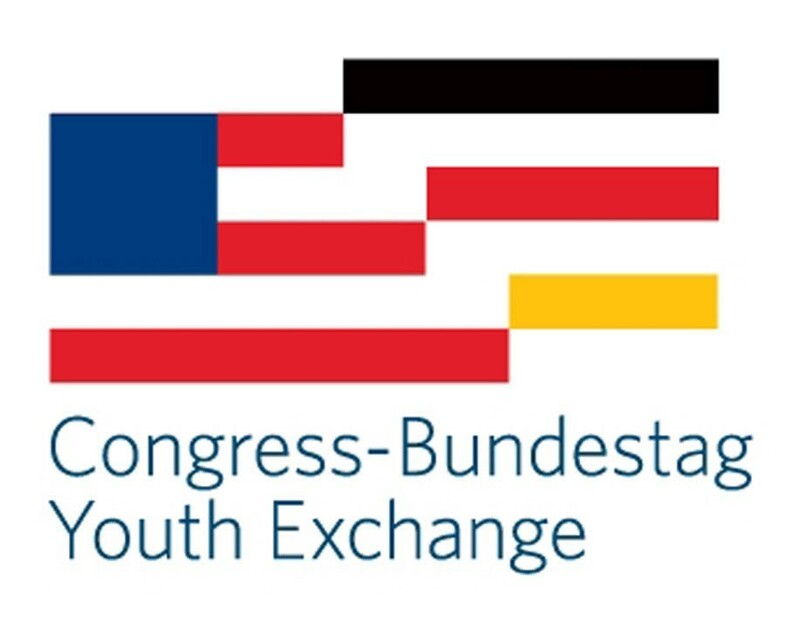 James is an alumnus of the Congress-Bundestag Youth Exchange. You can find his original blog post about the seminar at his Medium page. Try to think of everything; get help i̶f̶ when you cannot. The most important issue that I learned during this conference was how little attention people give to disabilities — myself included. I always considered myself accepting and accommodating; I have worked in the past to help strangers and friends with visible disabilities in clear situations. However, I have still felt unprepared when accommodating others: no one can think of everything or learn everything. Throughout all my volunteer work, I had not specifically marketed events to people with disabilities, for example, even while I had extensively marketed to other underprivileged groups (e.g. Title I schools and Women in STEM organizations). It is important to try to think of everything, but even more important to get help from experts who are more experienced than you, who will make sure that you are properly considering every important issue with your work. I expect to emphasize this knowledge, especially early in my career, and to seek out mentors who can help prevent me from making mistakes and prepare me to excel in my work. Put in the effort to accommodate others; it is the right thing to do. Continuing with the topic of disability, virtually everything in our society should be created with attention to universal design. It is understandable that many companies fail to be accessible: lack of adequate funds and resources is a huge barrier for anyone or any organization that may consider universal design. However, there are larger companies (including many successful technology startups) that even when incredibly well funded, they make so little attempt that many don’t even have a single person working towards making their products accessible. To me, that is an incredible moral failure. There is a necessary level of corporate social responsibility (CSR), as well as innate morals, which should drive companies to implement proper universal design. In the other two sections, I went into detail on how this is applicable outside of the context of the conference I attended. However, this will simply be an elaboration: accommodating disabilities and underprivileged groups is one of the largest CSR issues which companies are facing, and will continue to face well into the future. Always do your best to improve; challenge systems that prevent you from doing so. This may seem cliché, but one thing that came up throughout the conference was how much could be accomplished by going outside of comfort zones in order to overcome barriers. Some participants had helped found incredible programs for refugees or indigenous populations, and some were pioneers to certain areas of inclusive education. Other participants, primarily secondary education teachers, remarked that their schools prevented them from implementing the best practices. This can be applied in any scenario. Seek new ways to improve your work, and if those methods cannot be implemented due to a boss or a policy, then work to convince the appropriate party that those methods will have a large impact. If you only reach for a typical level of accomplishment then it is possible, and likely, that you are not doing the best work that you could. James was a CBYX Scholar in 2013. 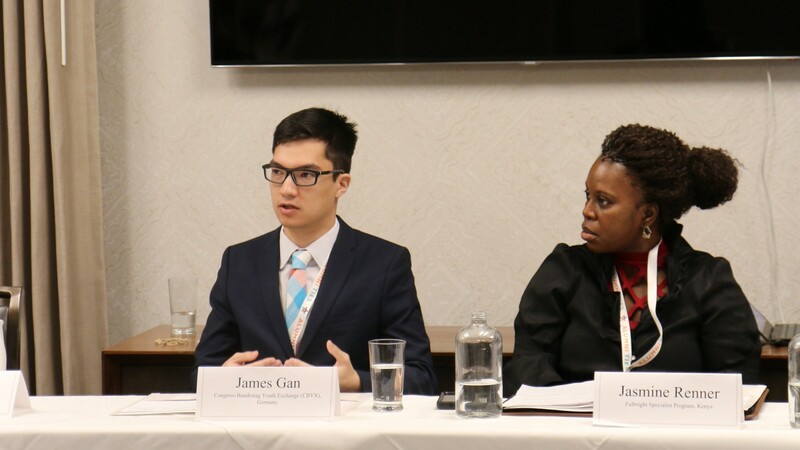 James Gan is a rising senior at Cornell University, pursuing a Bachelors in Economics with minors in Computer Science, Information Science, and Asian American Studies. Read more here. I was invited to attend a conference during my finals period of junior spring semester. Including the 16 hour travel time, it overlapped with my last day of classes and the day before a huge CS project (programming malloc in C) and two days before a CS final (discrete structures). I chose to go, however, figuring that it was a once in a lifetime opportunity to learn how to be a leader in education from expert presenters and a wide range of fellow participants; all of whom were leaders in their fields. I was surprised to find out that out of the 30 participants chosen, from nearly 300 applicants, there was someone else from my school, Cornell University. We met up around 4AM on the last day of classes to head to the airport. Along the way, we discussed various computer science topics, courses, and political issues- the experience was off to a good start. When we arrived in Portland, we arrived to the boutique hotel the conference was being held in — fancier than I am used to, but most of the participants were not students like I was, and they wanted to attract the best talent. We got lunch and met some of our colleagues, who ranged from worldwide leaders in indigenous studies, refugee integration, and universal design. After just an hour spent unpacking and eating lunch, we started with presentations from the State Department representatives and program staff. Throughout the rest of the program, we participated in panels titled “Education in the Digital Era”, “Engaging Underserved Communities: Education for English Language Learners, Refugees, and Indigenous Peoples”, and “Challenging the Fear of Difference: Gender and Sexuality”. The knowledge from the participants speaking on the panels was remarkable. For example, in the panel on underserved communities, the panelists included a Rotary Peace Fellowship recipient, a leader of various study abroad programs and research on education, and a pioneer of Alaskan native research. Two of them are native themselves, and they have received four Fulbrights between the three of them. The high caliber of the other participants was, quite possible, the strongest feature of the program. We were able to come together with experts and innovators to learn a remarkable amount from each other in a short 3 days. Some participants are chosen as experts for panels on specialized issues. My panel was titled “Education in the Digital Era”, where I was able to speak about the state of technology education in the United States, with a focus on opportunity gaps for underrepresented groups. During the “Education in the Digital Era”, I answered numerous questions focused on accessible technology, the possibilities of technology for profit and for education, and opportunity gaps in technology education. My experience with StudentRND as a regional manager and as an Economics and Computer Science student at Cornell University has made me experienced with many of these issues. I emphasized the utility of technology in society over time, the opportunities that technology education to provide to any student regardless of background, and the challenges that leaders in technology education face. At StudentRND, we focus on women and low-income students. 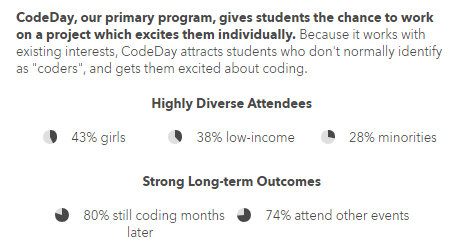 StudentRND’s premier event, CodeDay, has made significant progress in combating opportunity gaps in technology education. The other primary highlight of the programming were the site visits that were planned for us. We got to visit Resolutions Northwest, PHAME, and Portland State University. Through these visits, we were able to get expert’s views into supporting people with disabilities, supporting people through restorative justice and mediation, and conflict resolution from a more international perspective. The visits were significantly impactful as they highlighted the remarkable capabilities of innovative education when applied towards important issues ranging from disabilities to crime prevention. 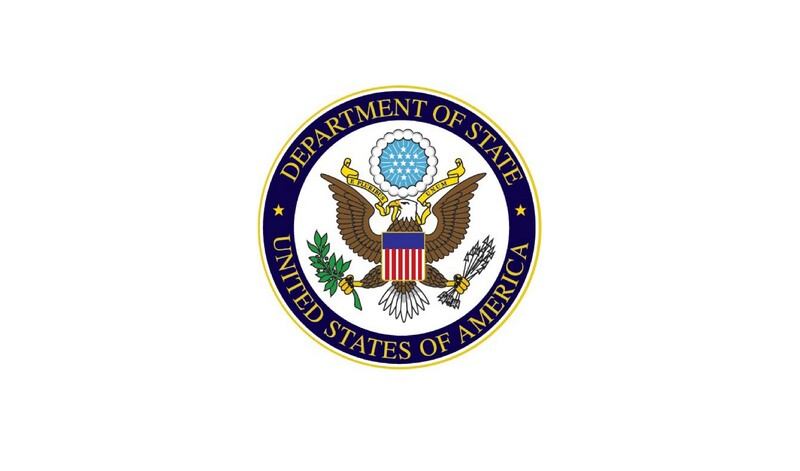 If you have attended a program sponsored by the US State Department, you are eligible to apply to the Alumni TIES program. Overall, even though the experience ended up being incredibly taxing due to my academics, I would definitely go again. I am honored to have been able to participate in this seminar program among such an impressive group of professionals. It was a great experience sharing my knowledge of STEM education and non-profit work with such an outstanding group of people, and it was incredible getting to know the leaders of education innovation. It is eye-opening to realize how much can be accomplished by dedicated people with great ideas. You can read more about the program here.